The Float Room was started in 2009 by Airlie & Anthony Byrnes, who had floated several times with Airlies brother interstate & wanted somewhere to float in Adelaide. And so the adventure of The Float Room began…. 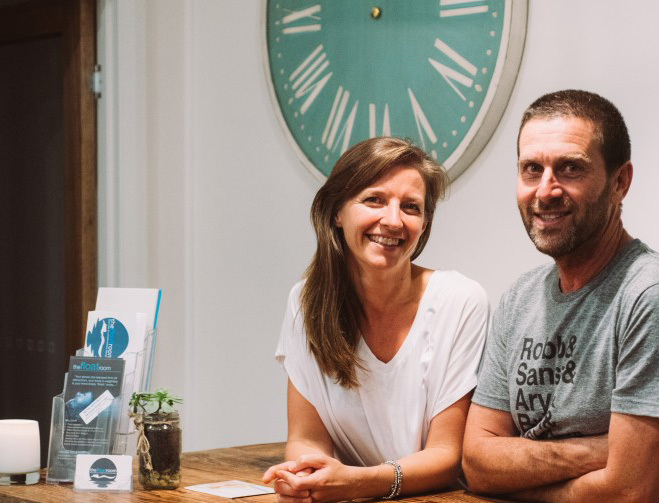 We (Airlie & Anthony Byrnes) started The Float Room as a small home-based float tank & massage business in 2009 as a way to provide somewhere to float in Adelaide as well as create a small business for Airlie to manage as an escape from the ‘rat-race’. Airlies brother was already operating float tanks in Victoria & after several floats we were both hooked! We began looking for somewhere to float & at the time were unable to find any float tanks in Adelaide. Fast forward six years and after lots of hard work establishing our business and building awareness of floating in the community we have just opened our brand new premises at 69 Finniss Street Marion with two beautiful tank rooms and two massage/therapy rooms. We are passionate about floating and love seeing others experience the wide array of benefits that can be achieved. We love what we do & consider ourselves fortunate to have such a wonderful business that provides the opportunity to help people relax, de-stress & become the best possible version of themselves. Apart from getting to float regularly ourselves, our favourite part of running a float centre is the fantastic people we get to meet along the way. The diversity of our customers is amazing and we are so grateful to all of them for their ongoing support. Airlie works full time running The Float Room, greeting customers, taking bookings, cleaning tanks etc. Anthony, whilst he has various other jobs (Electrician/Helicopter Pilot/Reflexologist!) 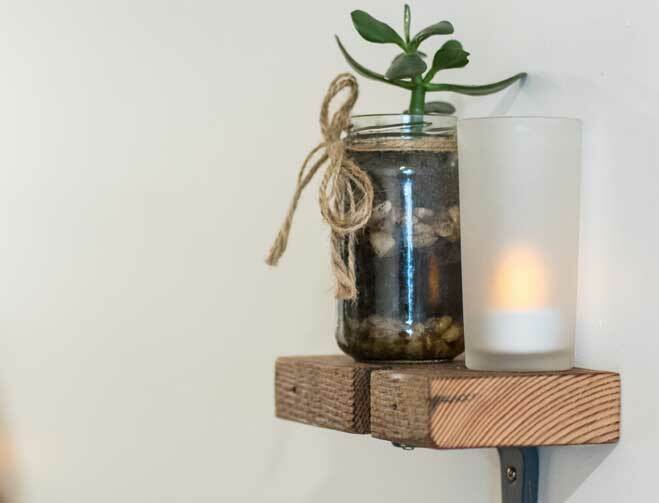 is an integral part of The Float Room, not only as a Reflexologist but also helping out on reception & cleaning but even more importantly as handyman – fixing things when they break! 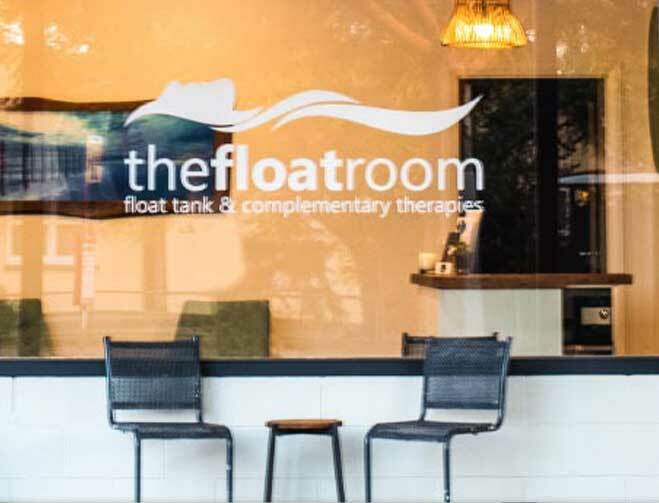 We consider ourselves very lucky to have such a great bunch of people working here at The Float Room, including our additional Reception/Float tank staff – Robyn, Kylie & Tara who run the place when Airlie is busy or having time off. Robyn managed several float tank centres in Adelaide the 1980’s. She LOVES floating & considers it an important part of her life. She understands the importance of helping customers feel at ease as well as maintaining high levels of hygiene & cleanliness. She is great to chat to about your float experience. Kylie has recently completed her Cert IV in Massage & is continuing to study Naturopathy. She has only recently discovered floating but is really enjoying the journey that regular floating takes you on! With loads of admin experience Kylie is going to be helping out on reception and the tanks but also with the joyous paperwork that comes along with running a business. Tara & her husband have been floating with us for several years – she helps out on Reception/floats regularly in between being a mother & a midwife. Her laid back & friendly nature is just perfect for the job! We also have a great group of Therapists who work here with us offering Massage, Reflexology & Counseling – find out more about our therapists. We think floating / sensory deprivation/ float therapy is a wonderful tool that provides such an amazing array of possible benefits, particularly for those who do it regularly. The float tank provides the perfect environment for helping the body & mind to heal itself, to explore your conscious & subconscious, to let go of the crazy busyness of our world for a while & simply ‘be’. In this crazy corporate world we live in – full of franchises and massive companies – we think small is beautiful and that personalised service is rare but important. We don’t want to be biggest or the cheapest. Instead we want to develop a reputation as the best float centre in Adelaide – maybe even Australia! We want to build our reputation as providing great service from awesome facilities at a fair price. Our aim is to help facilitate wonderful float experiences for all our clients, whether it be a one-off session or someone who floats twice a week, whether you are coming for pain relief, sports recovery, stress management or just because Joe Rogan has told you all about it – we value each & every client & strive to ensure they all feel welcome & comfortable. We like to take the time to talk with our clients, answer questions & show them through how everything works. This is also why we encourage you to call us to make your booking. We can find out why you’re coming & make sure that the service you are booking is right for you. We like to support other small businesses and our local community. That is why we use Australian made (in fact, Adelaide made!!) float tanks. We have been operating float tanks in Adelaide for over 6 years, so we like to think we offer the best float tanks in Adelaide. After 6 years we know how to make sure all our clients have the best possible experience. Our facilities have been purpose built, our shop & tank room layouts ensure customer comfort & minimised sound transference. We take tank hygiene extremely seriously & invest a lot of time/effort to ensure our tanks & facilities are as clean as possible. Check out our facilities to find our more about how we maintain our tanks. We provide toilets & showers within each tank room. 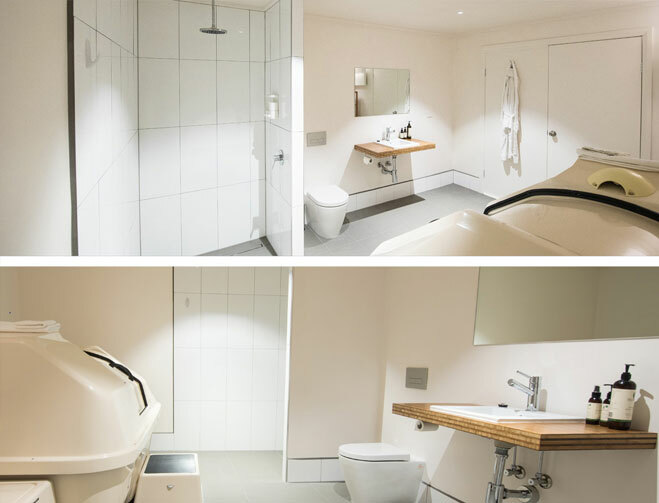 We think having a toilet in each room is VITAL – firstly for your own convenience & comfort (imagine having to walk down a hallway mid-way through your float!) but also to reduce the likelihood of anyone deciding to pee in the tank or in the shower. Our focus is on floating – it’s what we do & what we are all about. We do offer massage, reflexology & counselling – but these are designed purely to ‘complement’ your float experience. We consider each client to be as important as another & make sure we take the time to show you through how everything works & discuss how we may need to tailor your experience, e.g. if you feel the cold we can warm the tank/room up for you, if you’d prefer music the whole time or to listen to something specific. With only two tanks & by booking our sessions with plenty of time in between we can take the time to ensure your float is just right & un-rushed.